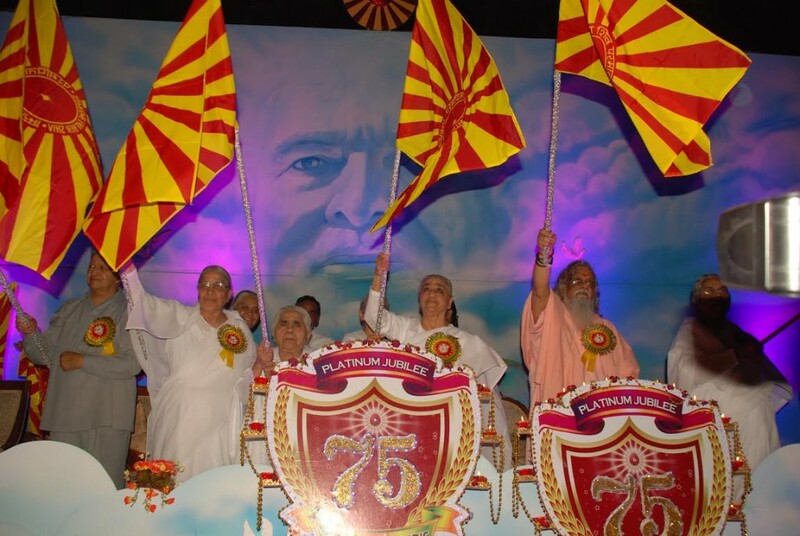 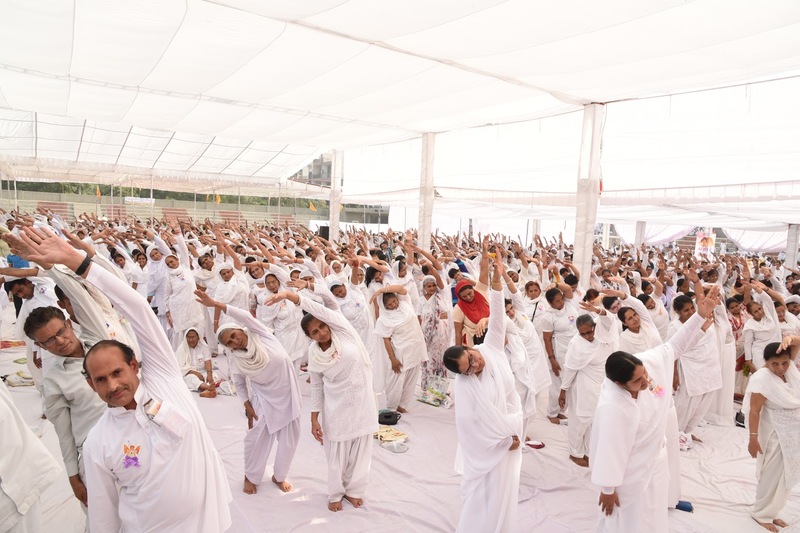 New Delhi, May, 7: Almost six weeks before International Yoga Day on 21st June this year, the Brahma Kumaris organization held a massive mass raj-yoga session for three hours in Shyam Baba Khatuwale Stadium at Hari Nagar Clock Tower here, starting early morning today. 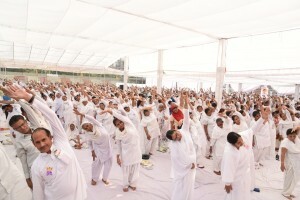 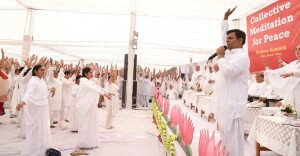 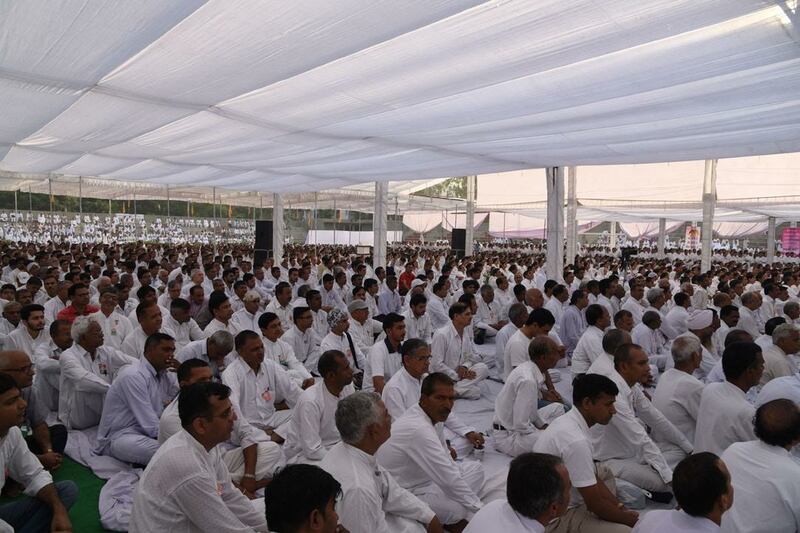 Over three thousand raj-yoga enthusiasts both ladies and gents all clad in pure whites converged and undertook several steps of Raj-yoga including yogic stretching exercises, creative contemplation and silent meditation for world peace and well being. 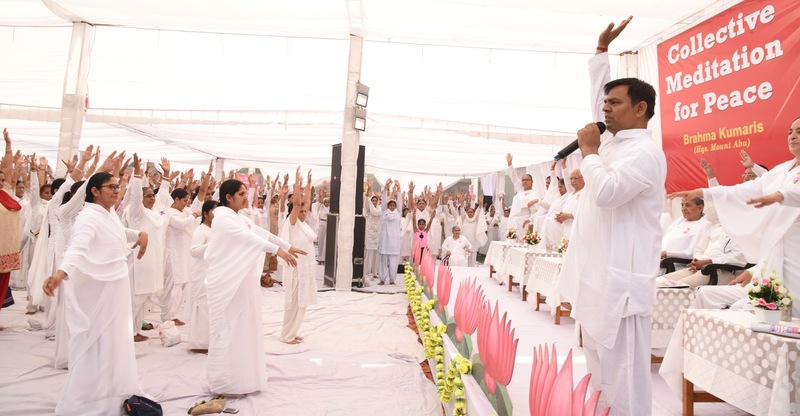 Addressing this huge gathering of Raj-yogis from Delhi & NCR, Dr Ishwar N Achrya, Director, Central Council for Research on Yoga & Naturopathy, Ministry of AYUSH as Chief Guest said that the system of yoga which the Govt. 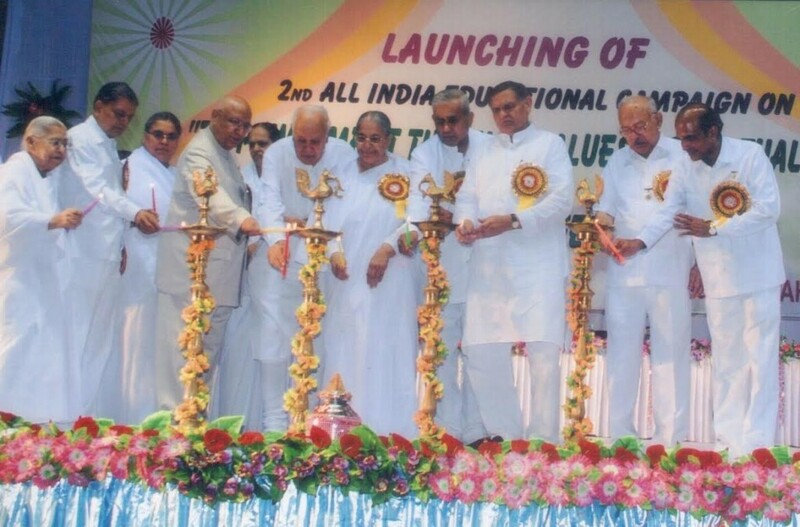 of India is promoting all over the world aims not only to restore physical & mental health but also social, moral and environmental health as well. 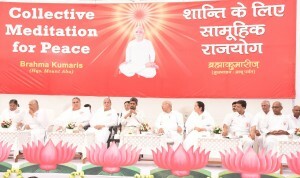 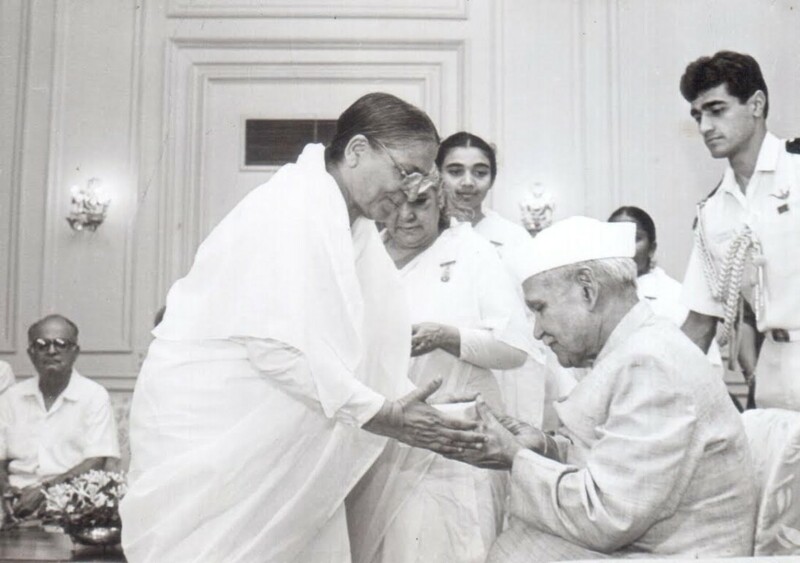 He said that the Raj-yoga practices of the Brahma kumaris is a way forward in this direction of restoring holistic health, peace, harmony and wellbeing in people, society, environment and ecology. 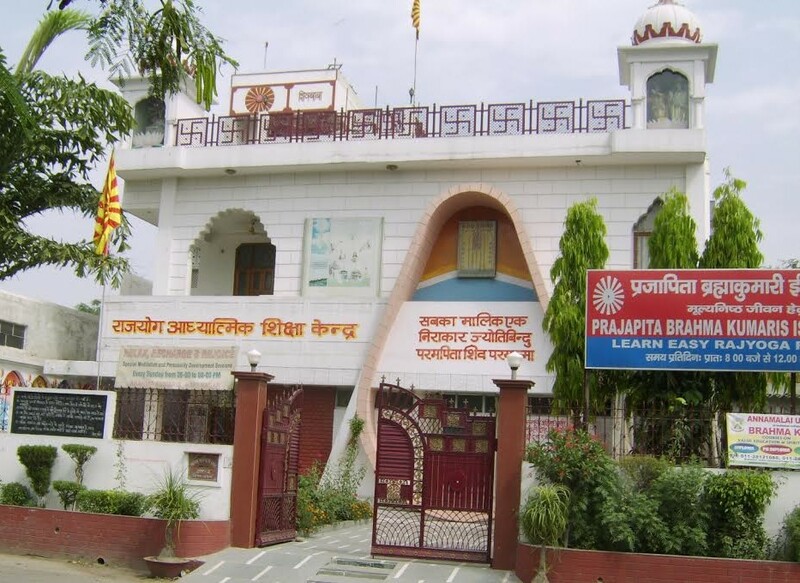 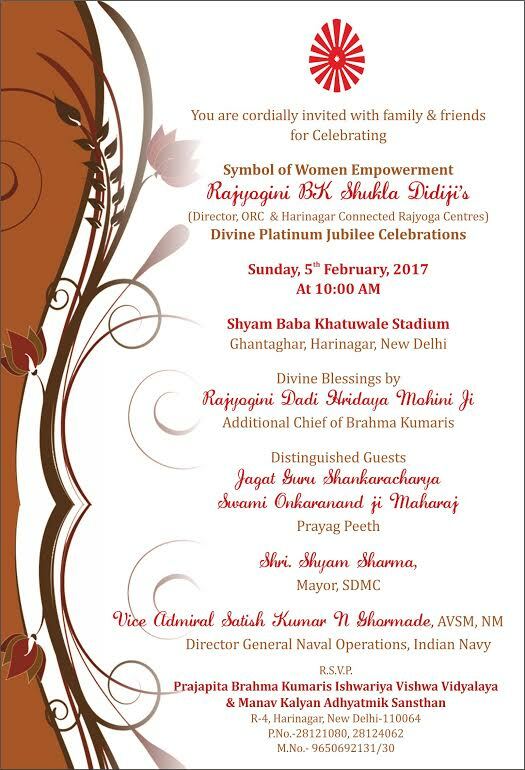 He also unveiled a stone plaque of MCD naming a road leading to Brahma Kumaris Center in Hari Nagar here as Brahma Kumaris Marg. Dr Renu Sharma, Vice Chancellor of Chattisgarh University as Guest of Honor on the occasion, also echoed the similar views on the efficacy of Raj-yoga in enhancing individual and collective peace, health, harmony and happiness in society. 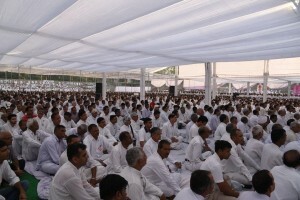 Rajyogini B K Asha, the Chief Convener of such collective Raj-yoga programs on any Sunday every month at different places of Delhi & NCR for last several years, said that these mass yoga programs of the organization have become trend setters not only for other cities in India but also in overseas countries.